1975. Young Mohan Bhagwat, the oldest of four siblings, decided early to dedicate his life to the RSS. In 1977, After six months as a veterinarian in rural Chandrapur, Mohan Bhagwat quit the job and moved to Akola. Initially, during the emergency, he worked underground and later was promoted as a district RSS Pracharak” (worker/promoter) of Akola. Mohan Bhagwat subsequently gained more popularity within the organisation and became responsible for Nagpur and Vidarbha regions and then in Bihar. From 1991 to 1999, he was in charge of physical training and later become in-charge of RSS volunteers. Rising swiftly, building a strong network and a reputation for accessibility, to become Sarkarawah (general secretary) in 2000. In 2009, he was chosen to be Chief Executive of RSS. He is one of the youngest leaders of RSS after M.S. Golwalker and Dr. K.B.Hedgewar. 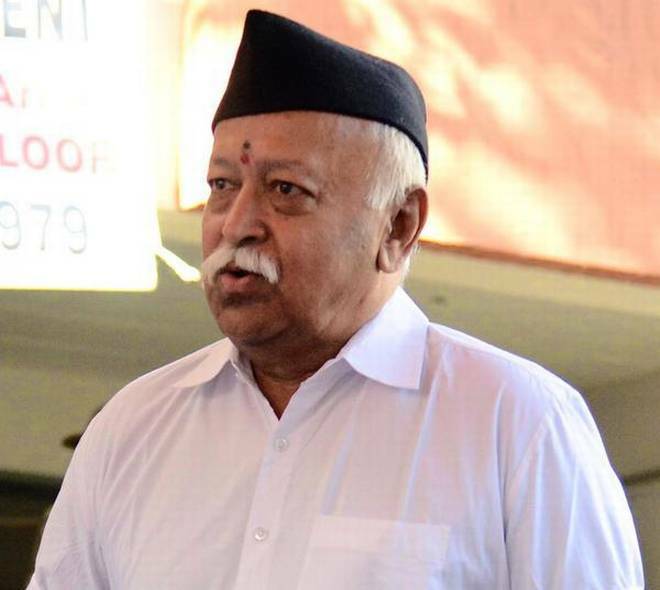 The Sangh Parivar was in disarray when RSS office-bearers met in Nagpur in March 2009 to select a Sarkaryawahas Mr. Bhagwat had completed his third term. RSS ideologue M.G. Vaidya, who was the election manager, recalls: “I was about to initiate the process of the election of Sarkaryawah when Sudarshanji stopped me. He took the microphone, said that he was not keeping well, and proposed Mohan Bhagwat’s name for the post of sarsanghchalak.” Mohan Bhagwat was 59, young for the top post by RSS standards. The outside world may have been surprised, but insiders say the generational shift had been carefully planned. Also, he is one the personalities in India to have Z+ security. In 2017, he was awarded honorary Doctorate of Science and degree for “Veterinary and Science”. Mohan Bhagwat is 66 years old and still very active. timings became flexible, making it easier for office-goers and students to enrol. The Parivar learned how to use the Internet and social media. successfully brought the transformation in the Sangh Parivar and made it look very easy. Several RSS goals — the Ram temple in Ayodhya, the abrogation of Article 370 and a Uniform Civil Code — remain unmet. Mr. Bhagwat would want those boxes ticked soon. If he is to bring in Dalits, Backward Classes and consolidate the Hindu vote, he must also temper the perception of the Parivar as communal. Only then will the RSS — and Bhagwat’s — big goal be in sight: Bharat, a Prakhar Hindu Rashtra.